Sprinting – you either have it, or you don’t… right? We’ve all watched the great ones with amazement and disbelief: Zabel, Cipollini, Cavendish, Kelly, etc. They seem like they were born to sprint. In the modern era, we watch the overhead HD helicopter feed as the high-speed bullet train lines them up to launch for the line. We see them squeeze through gaps the human eye can barely detect at 40+ mph, violently rocking back and forth for what seems like an eternity as we hold our breath… We hear Phil or Paul saying things like “…Renshaw is putting the missile in the tube…”. And then it’s over. They cast a casual glance over their shoulder as they cross the line alone, having zipped their jersey before the effort in the ultimate pro move to show respect for the sponsors. Or they cross it in a psychotic tangle of bodies, looking like a pack of rabid wolves chasing an injured rabbit, launching their bikes at the line at the exact millisecond needed to stake their claim. Then they raise their arms to some point between a crucifixion and a salute, which is oddly enough, probably a metaphor for both how they feel AND the way to see if someone is having a stroke. So… how does a Masters Cat 3 like me with very little sprint knowledge or experience get better? You ask the Pros. So I did. “I’m no expert when it comes to coaching for sprinting. The main thing I can say is I’ve found efficiency of movement is very important. Moving pedals fast is the #1 focus then you need to add force behind the pedaling speed. He then went on to reference Wiggin’s stage win on last year’s Tour of Romandie as a classic example of the guy with the track legs being able to crush asphalt when it mattered most. I’ve been wanting to get down to the Washington Park Velodrome in Kenosha for a couple of years, but haven’t made it enough of a priority. Here’s a guy who has personally been responsible for training millions of elite athletes telling me to make that my TOP priority. What excuse could I possibly come up with to NOT go this year? Moving on. Next up, Frankie Andreu. If you’ve read anything about Lance in the past 5 years, you’ve seen the name Frankie (or his wife Betsy) pop up. 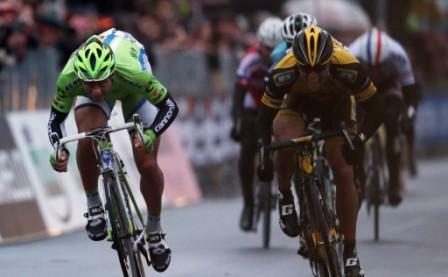 What sometimes gets lost in the story is how incredible Frankie was, having competed in the TdF 9 times. So you’re saying there’s a chance? A guy like me, built more for hockey than cycling, can – with the right training, fitness and muscle fibers – at least get invited to the party. Right training – check. Work with a coach, or at least structure your training around your goals. Fitness – check. Lay off the beer, work hard in the gym in the off-season, on the bike in pre-season. Muscle fibers… uh.. aren’t you born with or without a certain type? More on that later. Should I call on new customers on day 1 without knowing the new products/service, or should I wait until I have enough knowledge to feel comfortable setting the appointment? Inevitably, the person with the most confidence makes the call on Day 1. The other NEVER GAINS THE CONFIDENCE, no matter how long they study the products and services. Confidence comes from within, and involves facing fear head-on. This much I know, but that doesn’t mean I always put it into action. When I was younger, I was afraid of heights. 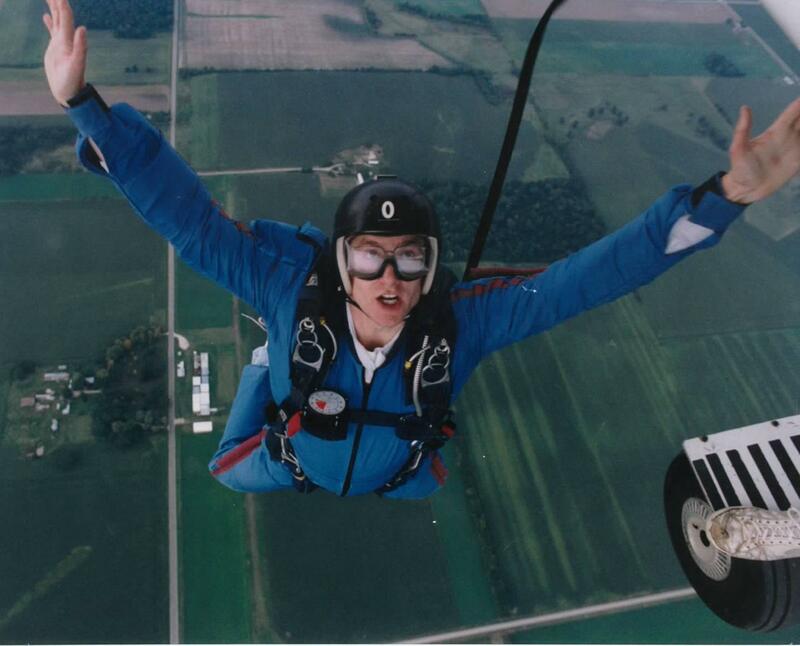 In order to overcome the fear, I jumped out of a plane… several times. Fear conquered – confidence inspired. So, it sounds like the cycling equivalent is to pick my spot in a couple of early season races and go for broke. “Motorpacing is great. It’s super valuable and makes a huge difference in speed. Sitting behind the motor and sprinting around it at 28mph will help your power and teaches your body to be able to turn the gear. Accelerations. Starting from a low-speed and then in the saddle accelerating up to a full spin in about ten seconds. This teaches explosive power, leg speed, and recruits the fast twitch muscle fibers. Power sprints in a large gear are great also. Same as above. Slow speed and in 53×11 jump out of the saddle for ten seconds and try to accelerate. OK, cool stuff – but even MORE about muscle fibers. Let’s see what all the hoopla is about. 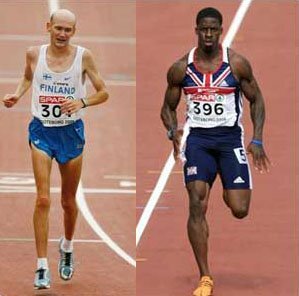 Which one is the sprinter…? Sounds simple, but painful. In cycling this translates to things like squats, plyo-metrics, pushing a weight sled and anaerobic activities like (surprise) sprinting. Check out another Baggett article called “How to Create a Speed Machine Using the Weight Room”. Get fit. All of the rest of this revolves around the fact that you’ve done what you can to get as lean, mean and strong as you can before the race starts. Learn to pedal fast. Well… duh. I thought I had this one tackled until I started adding high RPM training rides into my pre-season work. As someone who never used to shift into his small chainring (never) it’s been eye opening to try to sustain a 120+ RPM spin for more than 30 seconds, especially uphill. Actually, this is probably point #2.1 – ride the track. You can’t go fast if you can’t go fast. Not everyone has access to a track/track bike, so the lesson here is learn to churn butter for a long time. And when it’s super- creamy, churn it some more. Besides, who doesn’t love butter? Get stronger. Not Hulk Hogan strong, but functionally strong. Learn to push beyond your comfort zone, and then beyond that. Get confident. It seems to me that sprinting is 90% mental. Knowing you are going to win, knowing when to go, knowing how hard to go, never second guessing yourself. I’ve seen all of those traits in the guys that win consistently. And here’s one last one I’ll throw in – wise up. Get smarter. You can’t crush it at the line, if you’ve been crushing it the whole race. Last year, 1 guy, riding by himself, won the entire Tour of America’s Dairyland series (in my Category) by riding smart. He laid back during the race and let everyone else do the work. With 2 laps to go, he put himself in position to win and on relatively fresh legs sprinted out the last hundred meters every day. After a few days of this the entire peloton assumed each day would boil down to a sprint so no one ever pushed the tempo and made him work. There were probably faster guys, and smarter guys and guys with a lot of confidence in the pack, but only one with the perfect blend of all 3. Without saying a word, he dictated the series – just like you can this year. Next month – Part 2 including an interview with another 7-11 rider (and local legend) Tom Schuler.